Preview of the new Morning Musume single’s costumes! More thoughts on Takahashi Ai in the Dream Morning Musume PV! Koda Kumi confirms her pregnancy! And much more! Ranma 1/2 live action cast photos – in costume! SPEED’s Takako responds to yakuza alleegations against her! Selective Hearing reviews Houkago Princess! Myname looks very, very tragic. And so much more! 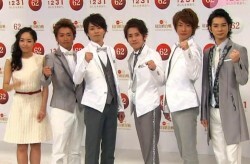 Wota males raid lingerie stores for AKB posters! After School announce their next single! Another idol goes the AV route! 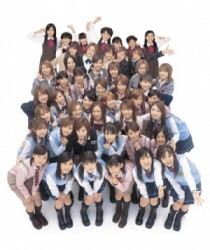 More reactions to the Morning Musume tenth gen auditions and the sudden S/mileage exit! And more! Midori has a detailed plan to convert a non-wota friend. Murr has experience and advice to share on the matter. SNSD negotiate terms for separate nationhood from the United Nations! Actually, it’s just Seohyun meeting Ban Ki Moon. If anybody could negotiate for separate nationhood, it’d be AKB48, and they can just have Akihabara, kind of like how Vatican City is separate from Italy. Oh, and more links at the clickety click. 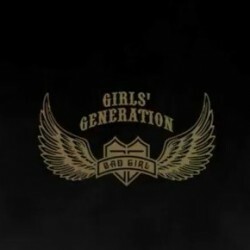 The full MV of SNSD’s “Bad Girls” is out! DiVA sales for “Cry” show a sophomore slump? Acchan offends with a T-shirt! And so much more! A Little Bit of Overexposure Never Hurts… Right? By murr | August 06, 2011 | Comments Off on A Little Bit of Overexposure Never Hurts… Right? Ashida Mana is the Next Big Thing. But how much exposure is too much? Also, Mana’s place in the industry comes at the expense of a former Next Big Thing, Matsuura Aya. Is Aya finished?